Henry Greene-by-greene-graham/work/379878' >Graham Greene, OM (October 2, 1904- April 3, 1991) was a prolific English novelist, playwright, short story writer and critic whose works explore the ambiguities of modern man and ambivalent moral or political issues in a contemporary setting. Although Greene objected strongly to being described as a mere "Catholic novelist", his religion informs most of his novels, and many of his best works (e.g. The Power and the Glory) are explicitly Roman Catholic in content and preoccupations. Greene was born in Berkhamsted, Hertfordshire, the fourth of six children- his younger brother Hugh was later to become the Director-General of the BBC, and older brother Raymond was an eminent doctor and mountaineer. Their parents, Charles Henry Greene and Marion nee Raymond, were first cousins and members of a large and influential family which included the owners of the Greene King brewery, and various bankers and businessmen. Charles Greene was "second master" at Berkhamsted School, where the headmaster was Dr Thomas Fry (who was married to another cousin of Charles). In 1910, Charles Greene succeeded Dr Fry as headmaster of the school, and Graham attended the school as a pupil. Bullied and profoundly unhappy as a boarder, Greene made several attempts at suicide (some of them purportedly by playing Russian roulette- though Michael Shelden's biography of Greene persuasively discredits the truth of these incidents), and in 1921 at the age of seventeen he underwent six months of psychoanalysis in London to deal with depression. After this he returned to the school as a day boy, living with his family. Schoolfriends included Claud Cockburn and Peter Quennell. After graduation, Greene took up a career in journalism, firstly in Nottingham (a city which recurs in his novels as an epitome of mean provincial life), and then as a subeditor on The Times. While in Nottingham he started a correspondence with Vivien Dayrell-Browning, a Roman Catholic who had written to correct him on a point of Catholic doctrine. Greene converted to the faith in 1926, and the couple were married the following year. They had two children, Lucy (born 1933) and Francis (born 1936). In 1948 Greene left Vivien for Catherine Walston, but they remained married. Greene's first published novel was Stamboul Train in 1932- as with several of his subsequent books, this was also adapted as a film (Orient Express, 1934). His fiction was originally divided into two genres: thrillers or mystery/suspense books, such as The Power and The Glory, on which his reputation was thought to be based. As his career lengthened, however, Greene and his readers both found the "entertainments" to be of nearly as high a value as the literary efforts, and Greene's later efforts such as The Quiet American combine these modes into works of remarkable insight and compression. 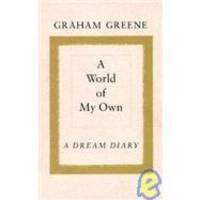 Greene's novels are written in a contemporary, realistic style, often featuring characters troubled by self-doubt and living in seedy or rootless circumstances. The doubts were often of a religious nature, echoing the author's ambiguous attitude to Catholicism (by the end of his life he seems to have lost his faith, but still considered himself a Catholic). Unlike other "Catholic writers" such as Evelyn Waugh and Anthony Burgess, Greene's politics were essentially left-leaning, though some biographers believe politics mattered little to him. In his later years he was a strong critic of what he saw as American imperialism, and he supported the Cuban leader Fidel Castro, whom he had met. Throughout his life, Greene was obsessed with travelling far from his native England, to what he called the "wild and remote" places of the world. His travels provided him with opportunities to engage in espionage on behalf of the United Kingdom (in Sierra Leone during the Second World War, for example). Greene had been recruited to MI6 by the notorious double agent Kim Philby. He reworked the colorful and exciting characters and places he encountered into the fabric of his novels. A 1938 trip to Mexico to see the effects of a campaign of forced anti-Catholic secularisation was funded by the Roman Catholic Church. This resulted in the factual Power and the Glory, often considered to be Greene's finest novel. Ironically, the novel was condemned by the Vatican in 1953. "There is so much weariness and disappointment in travel that people have to open up- in railway trains, over a fire, on the decks of steamers, and in the palm courts of hotels on a rainy day. They have to pass the time somehow, and they can pass it only with themselves. Like the characters in Chekhov they have no reserves – you learn the most intimate secrets. You get an impression of a world peopled by eccentrics, of odd professions, almost incredible stupidities, and, to balance them, amazing endurances." Many of his books have been filmed, most notably 1947's Brighton Rock, and he also wrote several original screenplays, most famously for the film The Third Man. Greene greatly enjoyed parody. In 1949, when the New Statesman publication held a contest for parodies of Greene's distinctive writing style, he submitted an entry under a pseudonym and won second prize. The resulting work, The Stranger's Hand, was later finished by another writer and brought to the screen by Italian film director, Mario Soldati. In 1965, Greene entered a similar New Statesman parody contest, again under a pseudonym, and won an honorable mention. Greene moved to Antibes in 1966, to be close to Yvonne Cloetta, whom he had known for several years, and this relationship endured until his death. In the last years of his life, Greene lived in the small resort city of Vevey, on Lake Geneva in Switzerland. In 1981 he was awarded the Jerusalem Prize, given to writers concerned with 'the freedom of the individual in society'. One of his final works, J'Accuse-The Dark Side of Nice, (1982), concerns a legal matter that he and his family were embroiled in while he lived in Nice. This led to a libel case in France, which he lost. On his death in 1991 at the age of 86, he was interred in the nearby cemetery in Corsier-sur-Vevey. 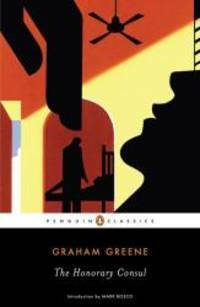 October 2004 saw the publication of the third and final volume of The Life of Graham Greene by Norman Sherry, Greene's official biographer. 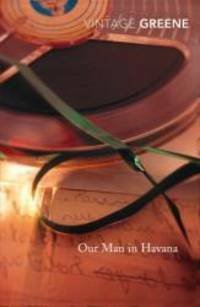 The writing of this biography created a story in itself in that Sherry followed in Greene's footsteps, even coming down with diseases that Greene had come down with in the same place. Sherry's work reveals that Greene continued to submit reports to British intelligence until the end of his life. This has led scholars and Greene's reading public to entertain the provocative question, "Was Greene a novelist who was also a spy, or was his lifelong literary career the perfect cover?